Additional Info: Electric fire has replaced gas fire in lounge area. A deposit of £100 required, of this £50 is for security bond which will be returned after holiday depending on any loss or damage incurred. The full amount payable 8 weeks in advance please. Passes are needed on site to enjoy all facilities that can be organised yourself or arranged for you. 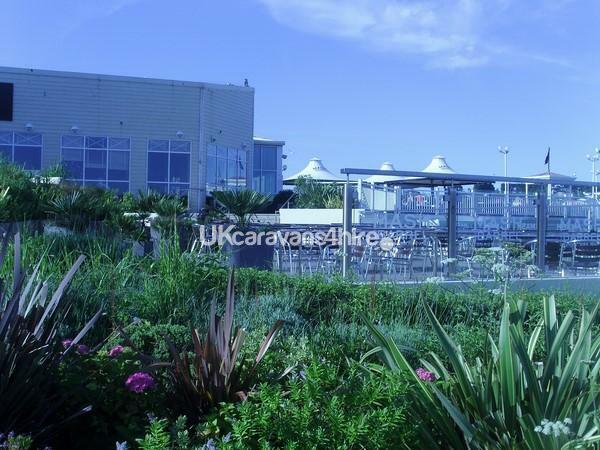 Devon Cliffs is the ideal holiday location, Haven worked hard to obtain the blue flag for the beach and make Devon Cliffs the flagship site constantly upgrading and improving to made your holiday a pleasure. Devon Cliffs are proud to have received two awards for 2018 including the prestigous blue flag again. 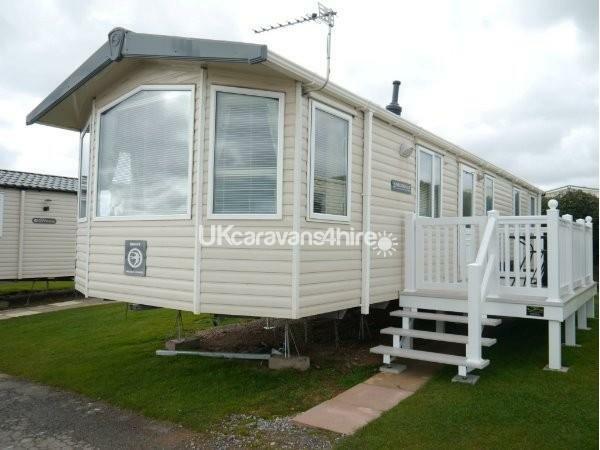 My 8 berth caravan is in a lovely location easy walking distance to the beach/all club facilities/play area for the children and even the dog walk is only a few minutes away. There is a double room, two twin rooms and a fold out bed in the lounge. 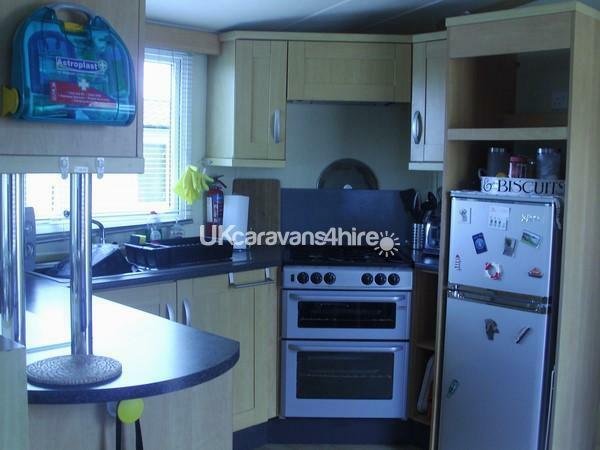 As well as a bathroom with a spacious shower cubical, the caravan also has a separate WC. The quilts and pillows are all supplied as can the bedding if you require to save space in your luggage (just let me know, no extra charge for this) spacious kitchen area with fridge/freezer and all the usual crockery and utensils and a few extra bits to help make it homely..
Free standing table and chairs in dining area beside kitchen. Parking is hard-stand area adjacent to the front of the caravan. A barbecue can be made available if requested prior to arrival. booking can be for 3 nights (Friday-Monday) 4 nights (Monday-Friday) 7 nights start date to be agreed (price quoted is rate for week) 3-4 nights breaks price on enquiry. Passes are available on site but best purchased in advance to avoid extra cost. 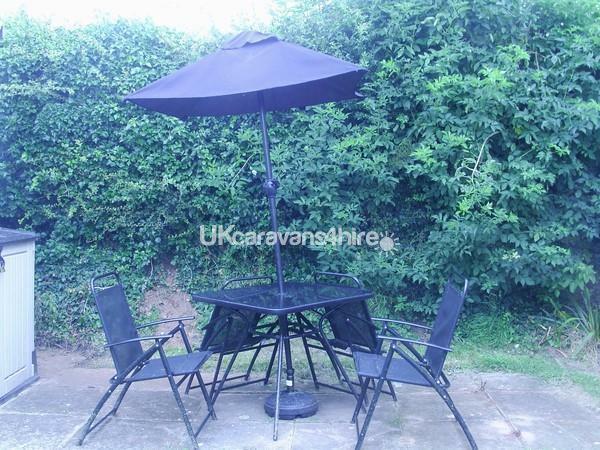 if you need me to help organise them the cost will be in addition to the hire cost of the caravan. Prices vary from off peak or peak holiday times and length of stay. If fully occupied 3 bedroom unit cost covers everyone. With so much to do on site best to check out Haven for all the fun details. Crealy and Bicton Park are a short drive if you want something else to entertain the family. The shop on site is well stocked or there is Tesco and Lidl a couple of miles up the road. There is an open top bus every hour from site to Exmouth. 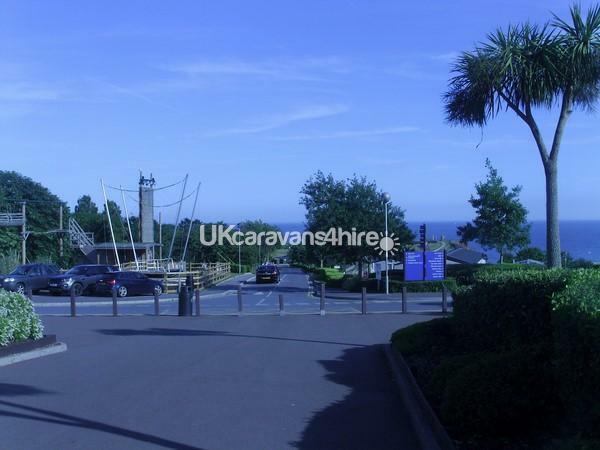 The resort's private beach is only a short walk down the hill from the caravan, where you will also find a children's play area as well as Beachside shop and Bar. Dogs are not permitted on the beach between 1st May - 30th September but if you take a short drive into Exmouth or Follow the coastal path from the resort this is a lovely walk with great views and interesting facts to read.There is a section of the beach (near the end of the path) where dogs can be taken all year around. I do not use contract cleaners but clean and care for the caravan myself and with my family's help so do appreciate that if you leave it as found. Additional Info: Sport and beach activities, Outdoor fitness equipment. Children play areas. swimming pool [indoor and outdoor] arcade. entertainment. to many things to list.Please browse Haven web site for all information.